As an Oscar-winning, hip-hop Renaissance man, Common has brought a spotlight to nuanced discussions of race and activism. His latest contribution to the dialogue was the November release of his album Black America Again, a critically acclaimed musical expression of the tensions of our time. It’s also a reflection of the conversations he’s had with prominent figures about racial divisiveness in this country. One of those people is his longtime friend Serena Williams. After a year in which the sports world was dominated by national anthem protests and equal-pay debates, Common and the tennis legend recently sat down for a candid conversation about fame, race and gender. 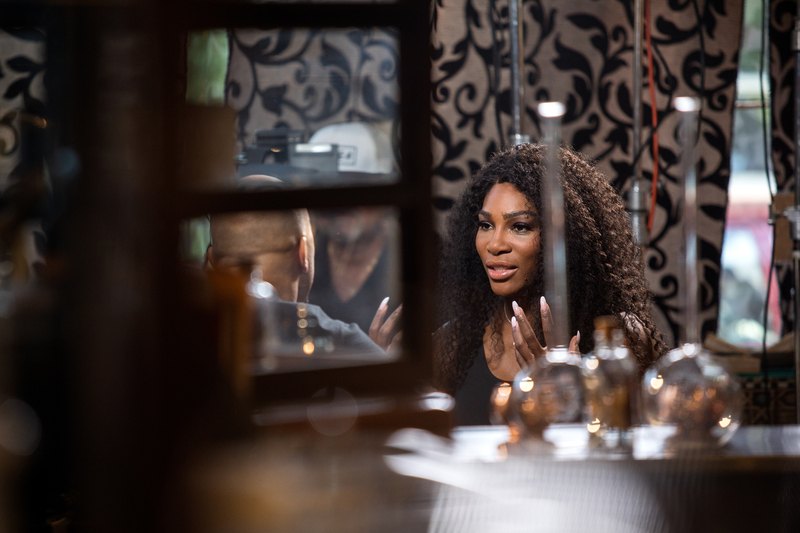 What follows is an edited, condensed version of The Undefeated in Depth: Serena with Common, an interview special that debuted on ESPN. Common: Do you feel like you and Venus opened up doors for black women in sports? C: Was it a weight that you didn’t know you were going to have to take on? SW: I never think of it as a weight. I believe that God never gives you more than what you can handle, and for me, I’m not carrying it alone. I embrace it. C: Do you ever get discouraged, feeling like you’ve got too much responsibility or that people expect too much from you? SW: Only sometimes on the court. When I’m playing a final of a Grand Slam, that’s when I feel a lot of expectations and that’s when I’m like, ‘Serena, would you rather be having your 22 titles, or would you rather have, like, two or three and people not having these expectations?’ I kind of try to flip it like that. That’s hard as a black woman and being someone who’s black in America, representing this country when I’m playing and when I’m doing things. C: When did you first realize you were black? SW: I don’t know. I’ve always known I was black. C: I’m gonna tell you when I realized I was black, when I realized that people looked at me differently for being black: My mother took me and my godbrother shopping — we went to a nice little neighborhood — and on the way back we stopped at this candy store. She let me and my godbrother walk in — it was a predominantly white neighborhood — and when we walked in we were getting chips and candy and this little white kid was going ‘b-l-a-c-k, b-l-a-c-k.’ And I felt a little hurt. I was like, ‘Yeah, I am black.’ I had to be about 8 years old, and I guess that’s the moment I realized that some people looked at me different for being black. So was there a point where you realized people look at you different because you’re black? SW: From the first day I stepped on the scene … I’m talking when I’m really young, because we’d go to parks, and where I was from we would train in Compton, and we would go to these parks and there’s usually only white people that play tennis, you know? So for probably as long as I can remember, I’ve always been able to relate that I am black. I am different because of what I do. But I also had my family around and Venus was doing it too, and my other sisters were doing it. I do remember one time I was playing, and these kids came up behind me while we were practicing and — I was probably, like, 7 — they were calling me Blacky. [Both laugh.] Me and Venus, they were like, ‘Blacky and Blacky.’ I remember thinking, ‘I don’t really care’ — and that’s pretty crazy to think that at that age. C: Do you think some of that sensibility and confidence came from your father and mother? Because both of them are intelligent, strong and they embrace their blackness. So was it something that they instilled in you and your sisters? SW: Yeah, we watched all that stuff just to learn about our history. You become proud, you see all the stuff your people went through so you have an opportunity. Like that poem that Maya Angelou said, that we are the hope and the dream of a slave. If you think about what the slave had to go through, and then the life that we are privileged to live — I wouldn’t want to be any other color. There’s no other race, to me, that has such a tough history for hundreds and hundreds of years, and only the strong survive, so we were the strongest and the most mentally tough, and I’m really proud to wear this color every single day of my life. C: As we talk about black people being marginalized and women being marginalized, do you think it’s ironic that a black woman is in the conversation as the greatest athlete ever? SW: I think if I were a man, I would have been in that conversation a long time ago. I think being a woman is just a whole new set of problems from society that you have to deal with, as well as being black, so it’s a lot to deal with — and especially lately. I’ve been able to speak up for women’s rights because I think that gets lost in color, or gets lost in cultures. Women make up so much of this world, and, yeah, if I were a man, I would have 100 percent been considered the greatest ever a long time ago. C: You’ve been scrutinized since you began in tennis, right? What allowed you to work through that? SW: I’m so focused on what I need to do to be the best I can be — and then better. At a very young age, I think I was 17, I stopped reading any press about me. I think that helped me avoid a lot of the scrutiny, and I kind of put myself in a bubble. I feel like I definitely was scrutinized because I was confident — I was black and I was confident. And I am black and I am confident. But I would say, ‘I feel like I can be No. 1.’ [Imitates shock.] Well, why shouldn’t I say that? If I don’t think I’m going to be the best, why do I play? C: You said you were scrutinized for your body too. And that’s something that a lot of black women have experienced. But with you being on the platform that you are on, did you at some point just say, I need to just embrace this — not just for me but for all the different sizes, shapes of black women? And now my body is in style, so I’m feeling good about it. [Laughs.] Like, I’m finally in style! It took a while to get there. I’m just really thankful for the way I was brought up by my mom and my dad to give me that confidence. I could have been discouraged, and I wouldn’t be as great as I was because I would have done different exercises or I would have done different things. I totally embrace who I am and what I am. This story appears in ESPN The Magazine’s Dec. 26 / Jan. 2 Issue. Subscribe today!